Tablets serve to be exciting type of computers and are featured with all features and facilities of the high end devices. As there are different brands that offer high tech tablets, it becomes a bit perplexing for the customers as to which tablet to select and what to look for in the best tablet. Making the perfect choice may seem to be a challenging task, but when you break things down, you will be able to see that you buy the best tablet around. Some things that you need to look for when choosing a tablet include size, features, camera, OS and other facilities in the device. 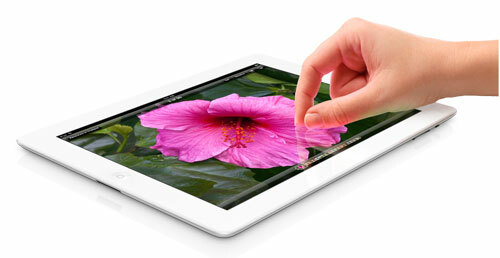 The first and foremost thing to consider is the operating system of the tablet. It is important to select the OS properly as it will go along all through the life of the tablet. Then comes the display screen size as it is one of the crucial things to take a look of when choosing the tablet for you. Surely the size of the tablet that you choose depends on the size of the screen and how comfortable you will be using it, you need to choose the tablet and the display screen that are portable to handle. How much storage space is there? Also, you need to check the storage that you need. This is dependent on the space that you require in the tablet. It is believed that 16GB storage is enough to store the huge amount of pictures and music files. But in case you need large amount of videos and applications to be stored, then you will require more memory or storage space. Camera is another thing that needs proper consideration when buying a tablet. The tablets are generally featured with one or two cameras. While the front facing camera is great for video calling, the rear camera helps to click perfect pictures. More so, tablets are made to be handled and carried easily and in all sorts of conditions, even when you are away from the mains power. It is essential that you buy the tablet with quality battery life. While the laptops have removable battery options, tablets have the battery that one cannot access. This simply means that you cannot buy any spare battery and so you have to keep the battery charged. Thus, buy the tablet that is featured with a good amount of battery life. All tablets are featured with a variety of in-built software and applications. However one of the best parts of a quality tablet is the huge amount of applications and software that can be easily downloaded from the app stores. Last but not least, tablets support the Wi Fi connectivity. Along with this, there are tablets with 3G and 4G connections as well. Check which sort of a tablet you want and then make the best purchase. Keeping all these points in mind, you will be able to buy the perfect tablet for yourself. Also, consider your budget before selecting the tablet. This will help you to get the most affordable and fully featured device.